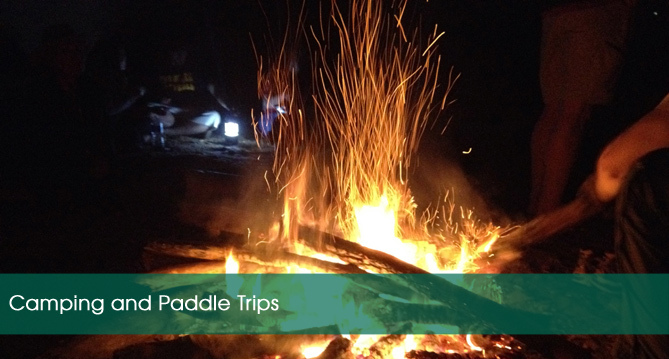 CRK’s camp and paddle trips have become a favorite to our paddling community. Be sure to mark your calendars and enjoy two nights of camping and two days of paddling in some of the most gorgeous sections of the Chattahoochee. Description: Paddle down a stretch of the CRNRA with a couple riverbank stops for speakers. Trip will discuss the Chattahoochee and the CRNRA in the context of Resilience for the Metro area. Speakers to include: Sally Bethea, Walt Ray, Kishia Powell, and Erik Fyfe. In partnership with Park Pride, Chattahoochee Parks Conservancy, Atlanta Department of Watershed Management and Trust for Public Land. Description: Join us for a guided paddle trip on the middle section of the Chattahoochee River as it flows from the newest park on the river, Moores Bridge Park, to the historic McIntosh Reserve Park. The outing will cover seven and a half miles and is open to paddlers of all skill levels. There are no significant shoals or rapids, paddlers of all levels are encouraged to sign up for this one! CRK staff and volunteers will lead the trip and provide highlights of the local history and ecology of the river. *CRK can provide available kayaks and canoes on a first-come first-serve basis. Description: The Chattahoochee River Blue Trail is a pristine section of waterway in the foothills of the Blue Ridge Mountains. We’re pleased to offer this trip for all to enjoy Sections 1 thru 4 – with camping at Buck Shoals State Park. Section 1 is beautiful and relaxing as we wind through the Sautee Valley. Section 2 includes several long Class 1 Rapids and smooth pools. The main rapid on this section is Smith Island (Class II). Section 3 is our thrilling whitewater section – thousands of whitewater paddlers got their start on this section of the river. And to wrap up our adventure, Section 4 is the most remote section of the Chattahoochee River with the largest volume of water with a dozen class I rapids. Requirements: Class: I-III. All participants must have intermediate paddling and bracing skills and be capable of self-rescue in the water. Helmets required, spray skirt highly recommended. Whitewater 101 Class. For our experienced beginners (who know basic paddling strokes and bracing skills) we are offering a half-day whitewater 101 on Sept 21 for those who want to take it a step further. We will cover wet exits, boat control in current, river reading, eddy turns, peel outs and ferries. Everything you need to truly enjoy paddling a river with mild rapids. This is the perfect section to learn on! This is a phenomenal opportunity to not only have an instructional class, but be surrounded by paddle enthusiasts who can help you take your skills to a level where you are confident and comfortable in moving water. The fee is $50 per person, limited to 6 participants. Description: Join us for a scenic paddle among the islands and easy moving water of the Chattahoochee River as it flows through Valley, Alabama. Because of two spillways, the mile-long section of river can be paddled in both directions – we’ll put in and takeout for lunch at the same location. Paddlers of all skill levels are encouraged to sign up as there are no significant shoals or rapids. CRK staff and volunteers will lead the trip and provide highlights of the local history and ecology of the river. Description: Paddle one of the longest stretches of the Chattahoochee still untouched by bridges and river-front development below Atlanta from McIntosh Reserve in Carroll County to the U.S. 27 Bridge in Franklin. Camping takes place at McIntosh Reserve Friday night and a historic private property mid-way Saturday night. Our trip begins with a Friday afternoon guided hike at McIntosh Reserve. The Reserve is named for William McIntosh, Jr., a prominent Creek Indian leader and planter. Saturday morning begins our paddle adventure which includes picturesque islands and beautiful shoals and makes this one of the most special stretches of the river between Atlanta and West Point Lake. Requirements: Class: I-II. 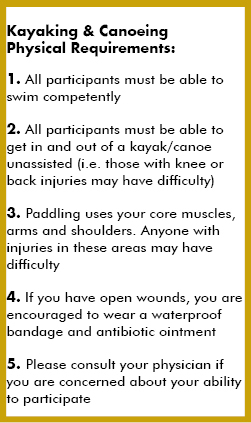 All participants must have basic paddling and bracing skills and be capable of self-rescue in the water. Description: From Georgia Power’s Plant McDonough to the Highway 166 Bridge off Fulton Industrial. Back for the 5th year, this 13-mile paddle cleanup is an incredible journey in a part of the river not accessible to most people. This stretch of river is suitable for all skill levels with primitive camping Saturday night. Paddlers are responsible for paddling their own camping gear. Fee includes Fri/Sat night dinner, Sat/Sun breakfast and shuttle. Additional information is provided in your confirmation email and specific trip details one week prior to the trip date. Participants receive a one-year individual CRK membership. All paddle trips have a maximum capacity – we encourage you to register early to ensure participation. Each participant is required to sign a CRK Liability Waiver. This is authorized as a electronic signature during the registration process. Click here to preview the CRK Liability Waiver. Boating equipment is not provided. Click here for a list of local outfitters. These trips are intended for kayaks and canoes only – inflatable boats are not permitted. PFD’s are required must be worn on all CRK paddle trips. No exceptions. Shuttling is a group effort and typically we will meet around 9am at the put-in to unload all boats and shuttle to the take-out before we get on the river. Youth Age Requirements: If paddling solo, paddler must be at least 15 years old. If paddling tandem, youth must be at least 8 years of age and accompanied by an adult at least 21 years. Cancellation Policy: You may cancel your reservation for a refund minus a $10 processing fee 7 days before a trip. After 7 days, we can no longer offer a refund for cancellations.